China is trying to change the course of its economic policy, and in order to do so, president Xi Jinping has decided to make some changes in the economic team. 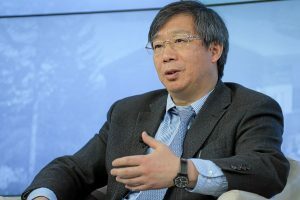 Yi Gang will be the new governor of the People’s Bank of China, the nation’s central bank. He has given very friendly comments about cryptocurrencies and Bitcoin, something that could make us think that China could relax its stance on cryptocurrencies. Does Yi Gang like Bitcoin? In the past, the 60-year-old banker has commented positively about bitcoin and cryptocurrencies. On March 19th, president Jinping decided to appoint Mr Yi Hang as the new governor of the People’s Bank of China (PBoC). This is a mixed signal to the markets, that have been used to hear hard restrictions in China. Indeed, the ex-governor of the PBoC has a different point of view compared to the one of Yi Gang. Eswar Prasad, former China head for International Monetary Fund (IMF) said that Yi has everything what it needs to carry out financial market reforms, liberalization and other effective regulations. At the moment, China has completely banned ICOs and cryptocurrency exchanges in the country. That Mr Yi is a more open figure compared to Zhou, does not mean that there will be a total liberalization. China is a country that is very logic with its policies and it keeps a speech line. But what we can expect is that, in the middle and long term, the new governor would change Chinese direction and position towards cryptocurrencies. Another important thing to mention is that China is working on its own cryptocurrency, as Russia is doing and as Venezuela has already launched.